About a year ago, I met online, a "cousin", Andy. He and I share grandparents 5 generations back. In Grandpa Lake's letter it is mentioned that his Aunt Louise (nee Pontifex) married a man named James Rowles, a ship carpenter. 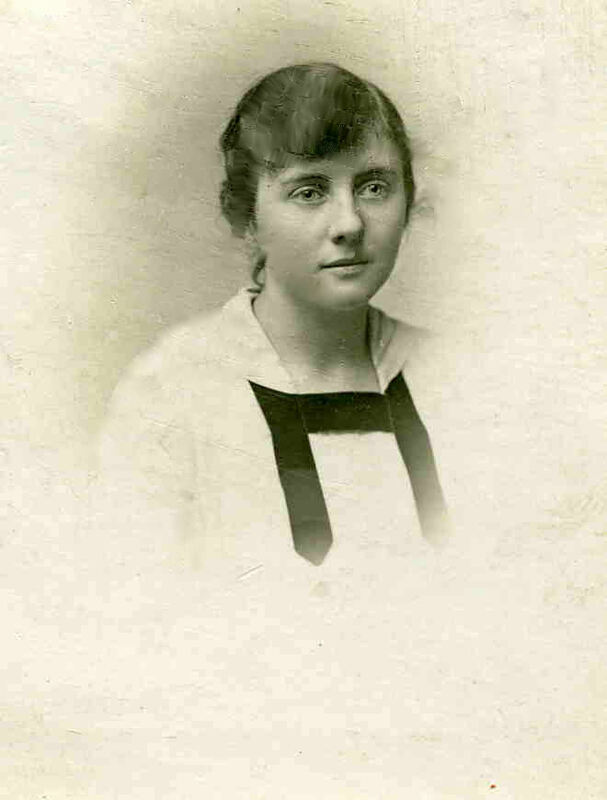 Aunt Louise is the sister to my many great grandmother, Flora Margaret (nee Pontifex) Lake. Andy has graciously shared with me and you, these photos and documents related to his family. Andy quickly became a great cheerleader in launching my website and has cheered me up when it didn't seem to go just right. He has also shared photos taken near his home in Cornwall. John James Rowles born about 1802 in St. George Somerset England was a ships carpenter who fell in love and married Miss Louisa Pontifex. We do not know for sure who John's parents were but Louisa was the daughter of Daniel Henry Pontifex and Harriet Bland. Lousia was born in London in 1798. John and Louisa were married at St. James, Bristol England on 2 Oct 1825. Louisa's father was a silversmith with a factory and shop on Shoe Lane in London. Louisa and John had five children: Louisa b. 1827, Julia b. 1829, Emma b. 1832, Harriet b. 1837, Edwin James b. 1841. John James Rowles died in 1888 in Barton Regis, Gloucestershire and Louisa in 1875 in Clifton, Bristol. John James Rowles death certificate. Click to enlarge. Louisa, the eldest daughter of John James Rowle, Louisa married John Rogers in Bristol in 1855. Below is their marriage certificate. Another of John James and Louisa's daughter, Emma, married John Price b. 1829 in Bristol. John Price was a joiner by trade. They married in 1854. Below is their marriage certificate. Click on it to enlarge. Emma and John married in 1854. Herbert John Price, b. 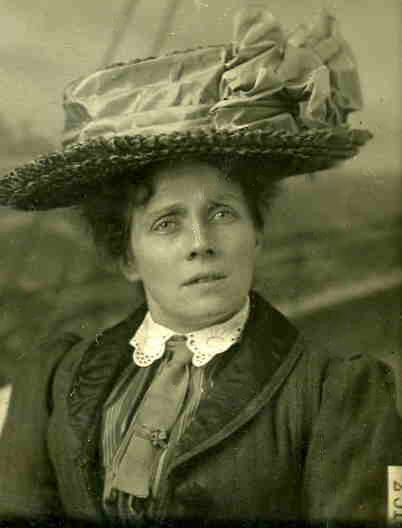 1870 to John and Emma Price married Ellen Elizabeth Butland pictured here in her fashionable hat. 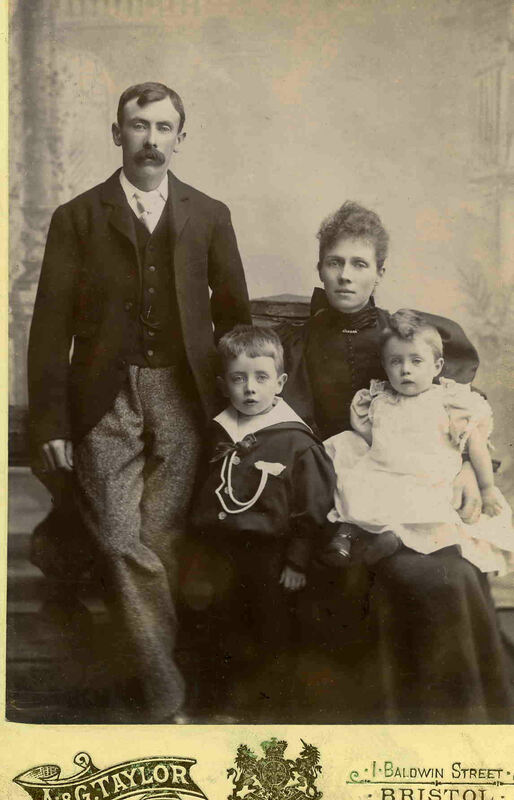 The picture on the left is of Herbert and Ellen Price and two of their children. Click for Rowles family tree. Herbert Price and Ellen E. Butland were married in 1892 in St. Philip & Jacob Parish Church in Bristol. They had eight children Herbert was a mason by trade and they resided in the Bristol, Clifton area. A daughter Elsie Elizabeth, b. 1901 is pictured below left. 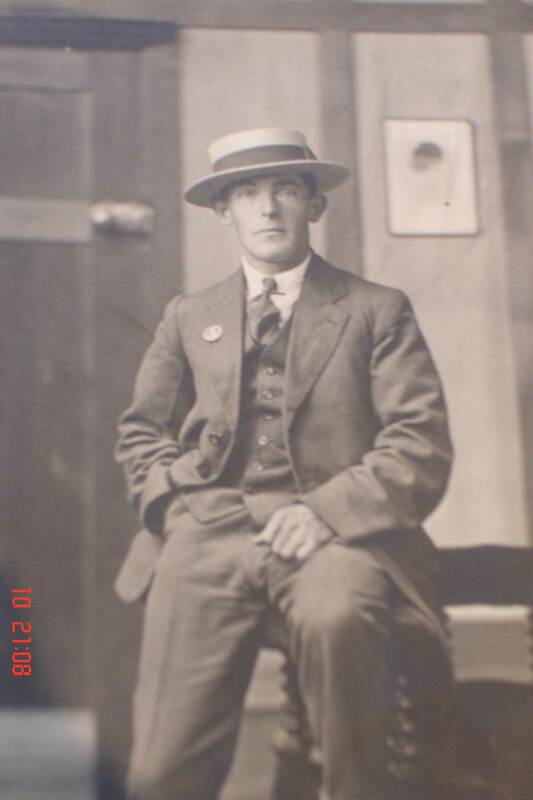 Elsie married Oscar J. Collins (pictured below) in 1923 in St. Peters Church in Clifton. If you have a connection to this family and would like to exchange information with Andy, please email me at Char@charsbrokenbranches.com and I will forward to him.